Have you ever found yourself looking at perfume online or in store, entirely perplexed at which concentration to buy? Picture this, you’ve found a scent that you like the sound of, or have perhaps worn in the past, and you head off to buy some. Quickly, you find yourself faced with the same fragrance in three different concentrations. Which is better? Are they all exactly the same? Is one lighter than the other? Which is the one for me? These are all legitimate questions and the answers are actually much more simple than you may think! The concentration of a fragrance is denoted by terms like Eau de Cologne, Eau de Toilette, Eau de Parfum and Parfum. These can often be relied upon to tell you roughly how much perfume there is diluted in alcohol within the bottle, and therefore, how strong or long-lasting it is. But the truth is, the difference between perfume strength is much more than just the varying levels of concentration, it can actually refer to entirely different compositions, where perfumers reshape a scent across its many concentrations to make for entirely different experiences. Let’s demystify those fragrance strengths! We’re used to thinking of an Eau de Cologne as a very particular style of fragrance, specifically a bracing blend of hesperidic notes, herbs, florals and musks, but did you know that Eau de Cologne is also a specific concentration of fragrance too? An EdC usually contains between 2 and 5% of perfume, but it can also simply refer to a fragrance presented in a lighter style. 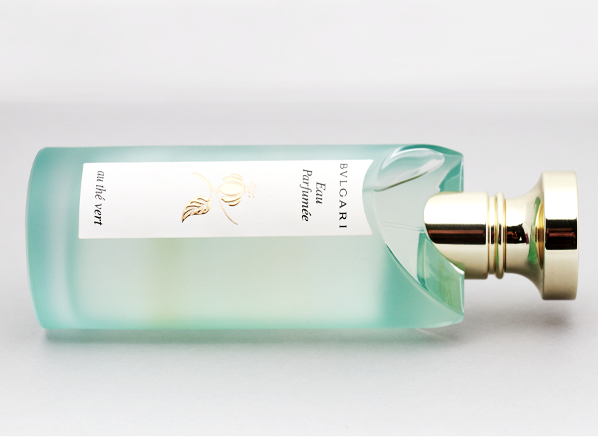 So as much as you can have your 4711, a very-traditional Eau de Cologne, you can also enjoy something lightweight and modern like Eau Parfumee Au The Vert by Bulgari. This iconic tea cologne changed the face of perfumery by defining the green tea accord that has now become so prevalent in modern fragrances. This is the perfect example of how an Eau de Cologne can bring levity and simplicity to a complex blend of ingredients – spritz it on recklessly throughout the day and enjoy refreshing, lightweight green tea all day long. Eau de Toilette and Eau de Parfum are two terms that you are probably quite familiar with, and you may have been told that there is a massive difference between the two. The truth is that there is… and there isn’t a big difference when it comes to EdTs and EdPs. 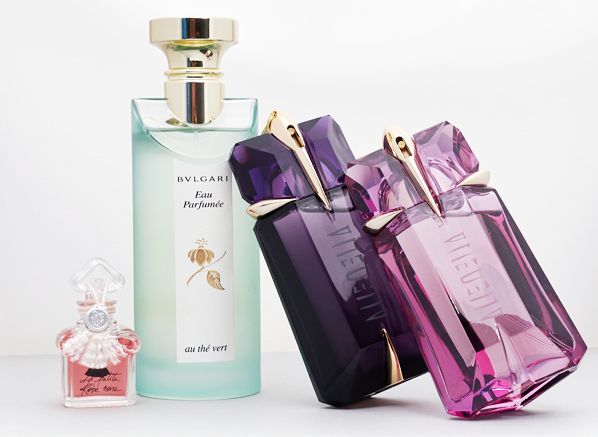 Yes, EdTs are typically lighter (with 7-12% perfume) than the EdPs (12-20%), which in turn, are often much longer lasting. But the difference can actually lead to a changing emphasis on the many unique nuances of a fragrance’s signature. Sometimes though, a brand will choose to create entirely different compositions for the EdT and EdP concentrations of the same fragrance, with each one showcasing different elements of the perfume’s character. A good example of this is Alien by Mugler, which originally launched as an Eau de Parfum centred on the interplay of a heady, syrupy jasmine note contrasted by blond woods. It is big, bold and brassy, with a trail that is intergalactic in size. The Eau de Toilette, which launched a few years after, reshifts the balance a bit, presenting a lighter sillage, yes, but also an emphasis on freshly cut jasmine petals shimmered with citrus dew. Two concentrations of the same fragrance – two entirely different experiences. The Parfum (also known as ‘Pure Parfum’, ‘Extrait’, or ‘Extrait de Parfum’) is the most concentrated of all perfume strengths. Despite what the name may suggest, a Pure Parfum is not pure perfume compound in a bottle, because that would be far too dense and flat when sniffed. Alcohol allows the perfume a bit of space to breathe and a Parfum concentration tends to be mixed at about 20-30%, giving a wonderful richness. 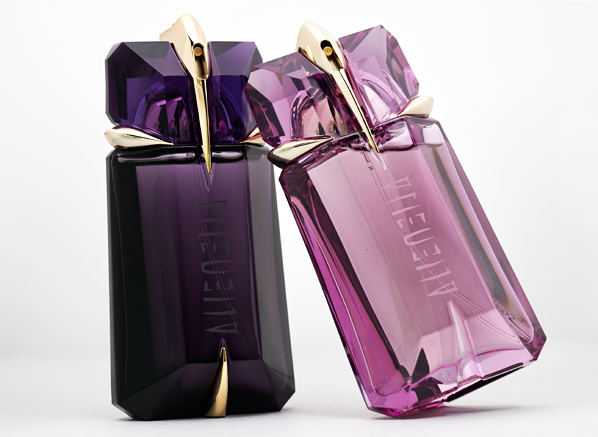 The big difference with parfums is that they tend to wear closer to the skin, because they are denser. A Parfum is a more intimate type of perfume, one that is often dabbed on, creating a personal experience that is best enjoyed by the person wearing it, or those lucky enough to get really close to them. Much like Eau de Parfums and Eau de Toilettes, perfumers will create a new perfume composition for the Parfum concentration. 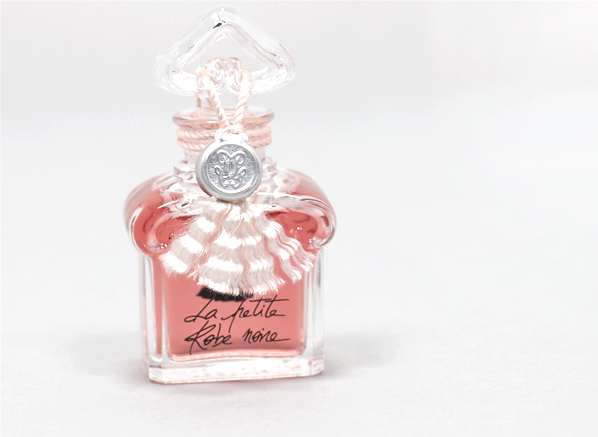 One of my favourite Parfums is La Petite Robe Noire from Guerlain. What was a fizzy rendition of black cherry and rose in the Eau de Parfum and an exuberant festival berries and musk in the Eau de Toilette, becomes pure cherry pie in the Parfum. La Petite Robe Noire Parfum is an intense and excessive gourmand take on Guerlain’s little black dress that celebrates the very idea of richness. Wear it and you’ll be just as edible as cherry pie! This entry was posted on Thursday, September 27th, 2018 at 9:50 am and is filed under Candy Perfume Boy, Fragrance. You can follow any responses to this entry through the RSS 2.0 feed. You can skip to the end and leave a response. Pinging is currently not allowed.